Grim account by a former slave ship captain describes the apalling machinery of the commercial slave trade, including the harems and "factories" maintained by slavers, treatment and discipline of black Africans on slave ships, the suppression of slave revolts at sea, and much more. Republication of the classic 1854 edition. Description: Brimming with information on every aspect of the slave trade in the nineteenth century, this detailed account by a former captain of a slave ship accurately portrays the appalling machinery of commercial slavery. One of the few real, unexaggerated accounts of the slave trade by a participant, this volume contains the complete text of the author's original memoirs, gathered in 1954 from his journals, memoranda, and conversations. 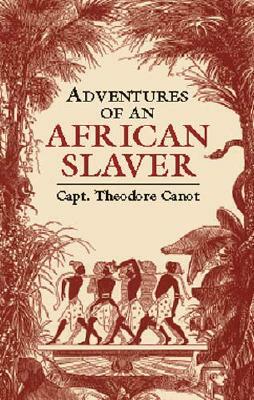 A slave trader for three decades, Captain Theodore Canot describes the economic structure of the African kingdoms; his extensive travels in the interior of Africa to round up slaves; illegal disembarkations in the West Indies, involving an elaborate system of bribes; transactions with wealthy African kings; the harems and "factories" maintained by the slavers; the treatment and discipline of black Africans on slave ships; the suppression of a slave revolt at sea; as well as tables of expenses and profits. Essential reading for students and teachers of African-American history, this book will also be of value to anyone interested in the long, ongoing struggle for civil rights. Unabridged republication of the work first published by D. Appleton & Co., New York, 1854.